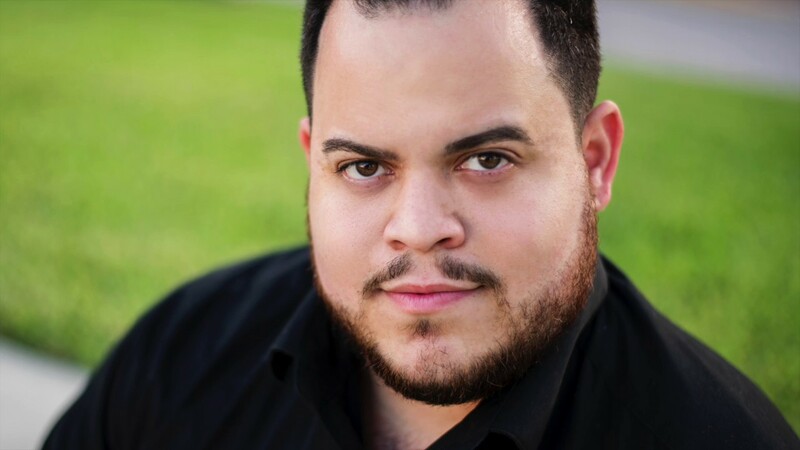 Edgar has sung many leading and character roles with many opera companies including Florida Grand Opera, Gulfshore Opera, Opera Fusion, and Magic City Opera. He is comfortable singing opera, sacred classical music, sacred contemporary music, broadway/musical theater, latin boleros, and rancheras. Once hired, we can discuss solo music for your event. I can also offer suggestions! Once music is selected we can decide if I’ll need to get an accompanist or if a ccapella will do. Mr. Abréu made his Florida Grand Opera debut as Ambrogio in their modern production of Il barbiere di Siviglia, in which (link hidden) exclaimed him as a “fantastic Ambrogio in this season’s opener The Barber of Seville.” On his interpretation of Flavio in FGO’s Norma, South Florida Classical wrote “Edgar Miguel Abréu made the most of Flavio’s brief appearances with a fine lyric tenor.” Whilst at FGO, Mr. Abréu covered Walter in Weinberg’s The Passenger. On the concert stage, Mr. Abréu was most recently seen performing Beethoven’s Choral Festival with Florida International University. He has also performed Handel’s Messiah, Gounod’s St. Cecilia Mass, Mozart’s Missa Solemnis,and Castelnuovo-Tedesco’s Romancero Gitano.